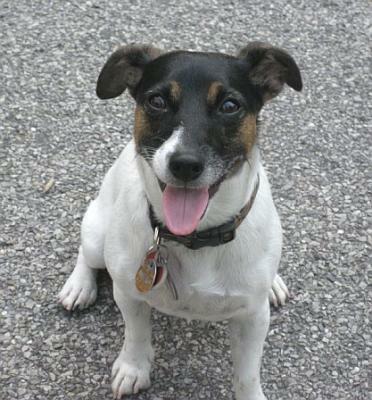 Rufus is a tenacious, beautiful 3yr old JRT. He is absolutely crazy about children, especially my 8yr old son (whose name is Jack). We live in an apartment but Rufus gets plenty of "run time". When we go to the country, I take him off the leash and he goes buck wild. One of his favorite things to do (in the wilderness) is to role around in other animals' poo. Fun for him, not so fun for me. Rufus loves his pink (yes, pink), squeaky chew toy and any type of tennis ball. At night he sleeps between me or my wife's legs. Rufus is a very important member of our family.